Boone Elementary School was opened in 1969 and was named after Sylvester Byron Boone, an early school board trustee who owned land in the Alief area. Mr. Boone was born in central Illinois on March 12, 1874. His parents were farmers. He went to a country school and fell in love with music and poetry. In his youth, he chose his own middle name out of his fondness for the poetry of Lord Byron. Mr. Boone married and moved to Louisiana to become a rice farmer. He and his brothers bought 400 acres of land around Houston, at $19 per acre. 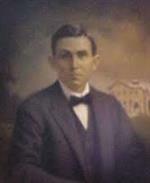 In 1908, Mr. Boone, his wife, and six children, moved to the land known as Alief. The nearby school, known as the Dairy School, had one teacher with 65 students in eight grades. Mr. Boone was instrumental in getting two additional teachers hired and in adding an extra month to the school calendar. He raised money for these improvements by going door-to-door to collect contributions. Mr. Boone was then elected as a school board trustee for the Dairy Common School District #46. During his early years on the school board, a three-story brick building was built to serve as the elementary and high school. Additional teachers were added to the faculty. Also during his tenure on the school board, the district was incorporated as the Alief Independent School.